Canada’s Cannabis Act: What it means for your pet. With the passing of bill C-45 (the Cannabis Act) into law in Canada, we’re not expecting the entire country to go to pot, but we do expect an increase in recreational & medicinal use of cannabis (a.k.a. marijuana, pot, weed, etc.). Home cultivation is likely to increase. The “edibles” market will undoubtedly expand. And people will eventually have access to a much wider range of products. Meanwhile, dogs will be dogs, & if cannabis products are within reach, they’re bound to help themselves. Cats have less of a sweet tooth & are generally fussier about what they’ll eat than dogs, but we all know cats that like to nibble on plants or get into things they shouldn’t. With increased access comes increased risk of intoxication. Read on, & you’ll see why this is not a trip you want your pet to experience. As for the use of cannabis for medical conditions in pets? We’re not there yet. While there are a few studies underway looking at cannabis use in veterinary medicine, we don’t yet know which (if any) conditions we can treat effectively or how exactly to treat them (product formulation, dose, frequency, & so on). 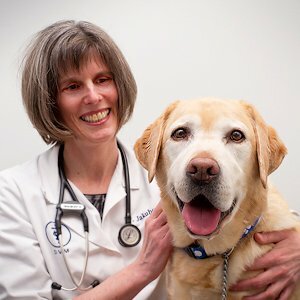 In any case, at least for the time being, veterinarians in Canada cannot legally dispense or prescribe any cannabis products for use in their patients. (Nor can we legally make any recommendations about dosing of cannabis products.) For those pet owners who are taking a pet’s treatment into their own hands, it’s important to keep your veterinarian in the loop so you can navigate your pet’s health issues together. Royal York Animal Hospital veterinarians can also help you keep abreast of new developments where veterinary cannabis is concerned. There are over 400 chemical compounds in cannabis, & different varieties of the plant have different proportions of those compounds exerting different effects. The two best-known compounds are the cannabinoids THC (tetrahydrocannabinol) and CBD (cannabidiol). Both have medicinal uses, but it’s mainly THC that exerts psychoactive (mind-altering) effects – not just the happy “high” we associate with pot but potentially a number of other, less desirable, outcomes. It’s THC that has adverse effects on pets when they’re exposed to it, whether by getting into someone’s stash, inhaling second-hand marijuana smoke, or devouring delicious cannabis-laced brownies or other edible products. Recreational marijuana has the highest risk for pet intoxication because it contains high levels of THC. Medical marijuana contains mainly CBD & very low levels of THC. That said, some CBD products contain enough THC to cause toxicity in a pet. There are currently no CBD products approved for pets by Health Canada & no legal route for veterinarians to access CBD for veterinary use. How does THC affect pets? Cannabis products are metabolized by the liver into various compounds, THC among them. THC is then stored in fatty tissue in the liver, brain, & kidneys where it hangs around for a bit doing its thing before it’s excreted in feces & urine. With limited exposure in a healthy pet, symptoms are usually mild & short-lived. But with higher levels of exposure, or exposure in a pet on certain medications or whose health is compromised in some way, things can get dicey (& probably pretty frightening) for the pet under the influence. A pet on pot (or variations thereof) becomes disoriented, uncoordinated, wobbly, & super sensitive to sound & light (any kind of stimulation really). He/she may drool excessively, vomit, & lose bladder control while stumbling around trying to get his/her bearings. Some pets get sleepy & weak while others become hyperactive & vocal & develop the shakes (tremors). If you think about it, it’s likely a pet isn’t flying high so much as freaking out on a THC trip. 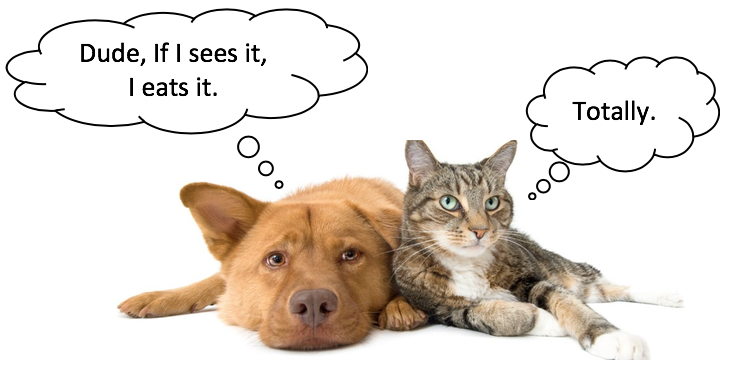 With more serious exposures, body temperature, heart rate, & blood pressure drop, or worse, a pet can develop full-blown seizures & end up in a coma. Thankfully, deaths due to THC intoxication are rare, & we hope it stays that way, but we do worry as new & more concentrated products become available. Here’s a video of a little guy that ingested 4 brownies made with “cannabutter”. (Butter containing cannabis has high concentrations of THC.) 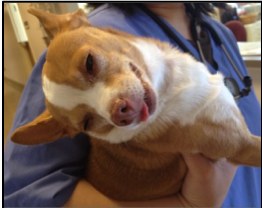 The Royal York Animal Hospital Veterinary team put him on fluids & sedated him to help him get through the intoxication. It’s impossible to know the toxic or lethal dose of THC because its potency depends on so many factors – strain of plant, growing conditions, fertilizers or pesticides used, fresh vs. dried vs. concentrated in oil or butter, presence of contaminants, synthetic vs. natural products, recreational vs. medical grade products & so on. The research just isn’t there to allow us to say “this much” is too much. When it comes right down to it, THC (in any amount) & pets don’t mix. 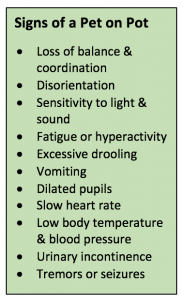 Veterinarians make our diagnosis based on physical exam findings consistent with cannabis intoxication (see “How does THC affect pets?” above) & a history of exposure. THC can be detected in urine, & we can run a urine test for pets at our diagnostic lab, but it takes time to get results, so it isn’t very practical. (Over-the-counter human urine tests are unreliable in pets.) We do recommend bloodwork, though – not because it’ll identify THC but because it can help determine whether there are any other issues we need to consider in our evaluation & treatment plan. A pet experiencing THC intoxication needs to be kept warm as well as confined in a safe, quiet, dimly lit space (with no access to stairs or anything that could cause harm if he/she stumbles & falls) until his/her symptoms resolve. 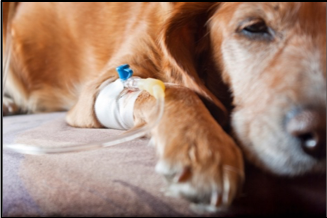 With appropriate medical attention, a pet can pull through in about 24 hours, but some can take a few days to recover fully. Any cannabis product containing THC has the potential to cause serious neurological & cardiovascular effects in pets that can become life-threatening, so it’s important to safeguard your pet from exposure. It’s best to keep recreational & medical marijuana under lock & key & avoid exposing a pet to second-hand marijuana smoke. If you think your pet has been exposed &/or is showing signs of intoxication, take him/her to a veterinarian right away. Where treating a pet’s medical condition with CBD products is concerned, keep in mind that at present there are no studies that confirm whether or not it works or what sources & doses are appropriate in pets. Remember too, that some CBD products contain enough THC to cause intoxication in a pet. Your vet can’t prescribe cannabis products or give you doses to work with, but he/she can alert you to any conditions your pet has or any medications he/she is on that may contraindicate cannabis use. Your vet can also help keep you abreast of new developments in legislation & cannabis use in veterinary medicine.